Can you count how many times you've used that sentence starter with your kids? 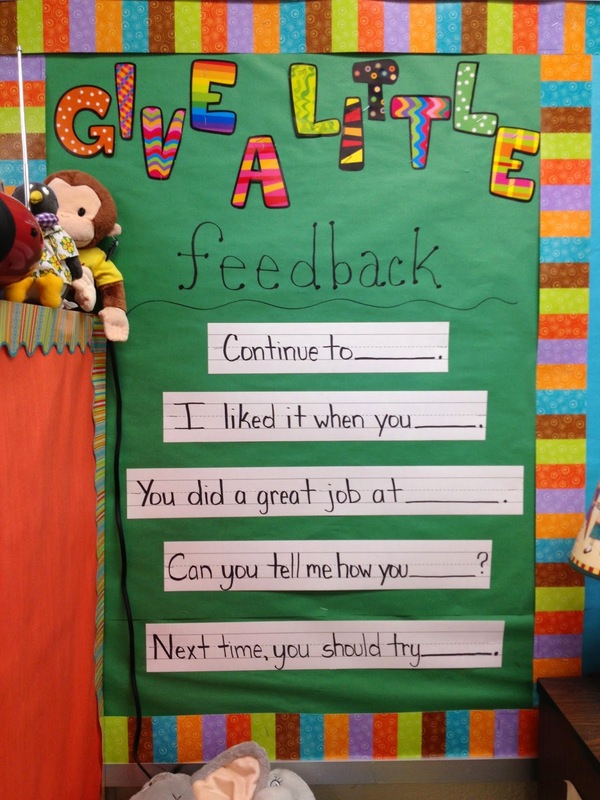 We do it all the time - we give feedback to our students during a lesson to let them know how they're doing. It's good teaching practices! Not just "Good Job" or "Excellent" - but when we specific tell a student what they did (and didn't of course) do correctly in a lesson - the learning is much more meaningful. It's a way of repeating ourselves without it seeming redundant in the lesson. I've had bulletin boards up in my room with sentence starter to try and help encourage this type of discussion with my students. It works really well. To 'train' the students to give the feedback, I find a moment in each lesson to prompt the students when to give it and model it as much as possible. Eventually, the students start to give each other feedback without even knowing it. Their level of learning and knowledge becomes much deeper and their collaboration and communication skills advance throughout the year. This year, I still have a bulletin board - but I wanted to take it a step further. I've begun to teach my students the difference between complementary and constructive feedback. They always excel at giving compliments to one another, its the constructive feedback that's harder. 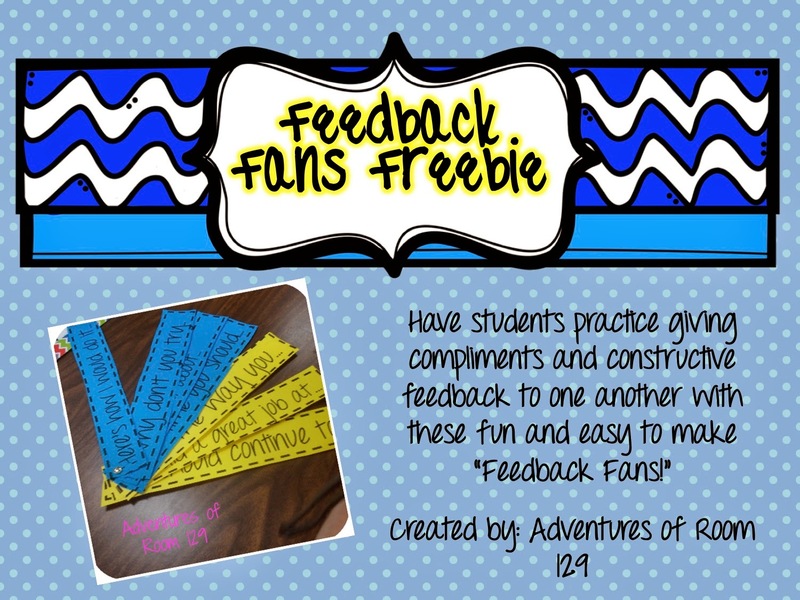 So this year, I decided to make "Feedback Fans!" 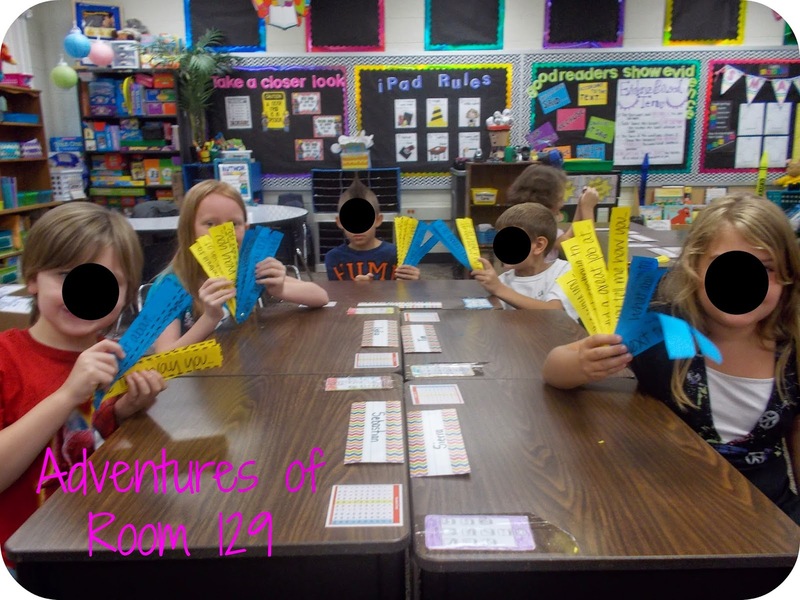 These cute, easy fans are our classroom's way of keeping those important feedback sentence starters nearby. We keep them in our WIP (work in progress) folders, which the students have handy at all times. In a given lesson, the students can take them out and use them as needed. The yellow sentence starters are for giving compliments (think - yellow, bright, cheery, compliments). The blue sentence starters are for constructive (I just picked blue - any color would do). We cut them out and connected them with a brass brad and ta-da! Feedback Fans! The kids are already loving using them during lessons. Having the kids give feedback to one another during lessons ensures that they're paying attention to one another enough to know what and how to respond. If you haven't tried it yet, make sure you do!! You can grab these fun fans for free at my TPT store. Just click the photo below! 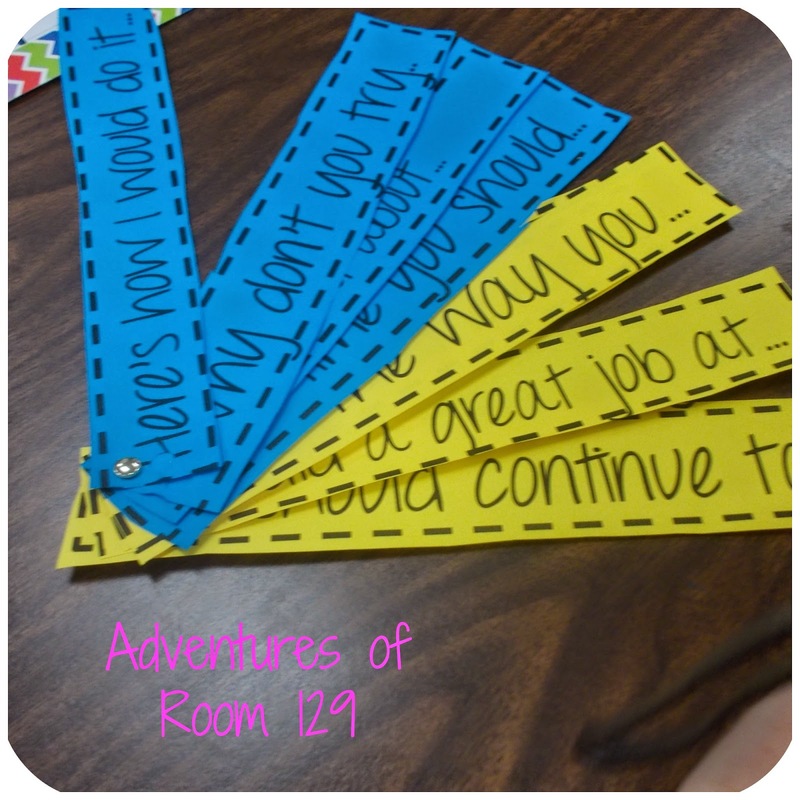 These are great to make the first few weeks of school and to have all year long! If you like the fans, make sure to follow me on TPT for other great products and freebies! Leave a comment below to let me know what you think! This is such a great idea! LOVE IT!!!!!!!!!!!!!!!!! Sharing it on my FB today! Thanks! This is a wonderful idea! Thank you so much! This may work for my employees to give feedback to each other!